It started with a question between a father and a son,the son asking why the church needed smoke machines in worship. This question led to one of the most honest explorations of worship I have read. Manuel Luz is a true artist, musician, worship leader, etc. and he delves deep into what it means to worship from the depth of one’s soul. He’s not advocating for a style of worship, nor does he denigrate any type of worship. Rather, Luz looks at the heart of the worshipper connecting with the heart of God in ways that are both God-honoring and authentic. This is a fantastic book that I would recommend to anyone involved in worship, from the worshippers in the pews to those responsible for leading people into worship. I have read quite a few books on worship and this one is the best by far. Go out and pick this one up. You will not be disappointed. I’m reading Manuel Luz’ new book called Honest Worship and it is so good. He has a really thought provoking idea from Soren Kirkegaard on worship in there that we all need to consider. [Kirkegaard] is said to have likened the worship service to the theater. He posited that most people believe that the pastors and worship leaders are the performers, God is the director and the congregation is the audience. But this is an incorrect paradigm. In truth the pastors and worship leaders are the directors, the congregation are the performers, and God is rightfully the audience. “My walk today was unique. I am in the midst of a speaking/painting “tour” in Florida. A few things fell through leaving me with two open days in my schedule. I decided to approach a church camp to see if I might spend the days there on a working retreat of sorts and they readily agreed. My walk today was on the grounds of the camp, specifically down to the lake. Walking along, I see geckos scurrying from place to place as Spanish moss hangs gracefully on ancient trees. The air is aromatic with the scents of early spring. Of course in Florida, it’s pretty much always Spring and Summer. So many things hit me. It’s still pretty cold back home, here it’s probably about 80 degrees and sunny. The lake is beautiful. Many large water lilies cover the water near the shore. when a slight breeze picks up the lilies roll over exposing their red-brown underside which makers for a very curious effect. At first upon reaching the lake, I see very little in the way of wild life. At first I thought I saw a soft shelled turtle, but it may have been a dead lily pad leaf (it was a little too far away), which got me thinking about the amazing way God made His creation. The soft shell turtle can hide in plain sight because his shell looks like a dead leaf among a multitude of leaves. I had sort of hoped to see an alligator, not a big one, but then I thought it is probably better that there are no gators at a church camp. I walked out onto the fishing pier just in time to see a flock of seven coots swimming around. Coots are a beautiful jet black duck with a bright white bill. They are a diving duck, meaning that they can fully submerge themselves when they dive in search of food. Fascinating creatures. All of the sudden they scattered for the weeds at the shore, and I looked up just in time to see a large hawk, or perhaps an immature eagle flying overhead. The coots got to cover in time and the giant bird glided gracefully away. The circle of life was illustrated in sharp detail. I saw something bright orange near the surface of the water, I thought perhaps it might be a beautiful flower, but alas it was the feathers of an errant arrow that no doubt escaped the archery range. Of course the most interesting things in the water are usually found beneath. I looked through the clear water and there before me swam a HUGE carp. Around him were a multitude of smaller fish. One might think this was yet another circle of life incident, but the carp holds no danger to the young fish. Nature’s janitor of the deep, the carp cleans the bottom and exists on a vegetarian diet. Despite his huge size, he is not the least bit predatory. Every so often I like share a few resources that will help you on your journey. The following are a few books that I have read over the years that have really blessed and encouraged me. They’re not necessarily Christian books, nor are they all about art, yet they will help you to build your skills and following. Seth Godin’s Tribes is the book that encouraged me to start this blog and try to build a community of Christian creatives. It can be read in a day and will radically change the way you look at leadership and creativity. The description from the Amazon page says, “A tribe is any group of people, large or small, who are connected to one another, a leader, and an idea. For millions of years, humans have been seeking out tribes, be they religious, ethnic, economic, political, or even musical (think of the Deadheads). It’s our nature. Now the Internet has eliminated the barriers of geography, cost, and time. All those blogs and social networking sites are helping existing tribes get bigger. But more important, they’re enabling countless new tribes to be born—groups of ten or ten thousand or ten million who care about their iPhones, or a political campaign, or a new way to fight global warming. And so the key question: Who is going to lead us?” This is an amazing book you should really pick up. Click the picture to get your copy. While we’re on Seth Godin, I would be remiss if I did not mention Linchpin. This is one of my all time favorite books. It tells us all about how to be indispensable and live a remarkable life. The description on the Amazon page says There used to be two teams in every workplace: management and labor. Now there’s a third team, the linchpins. These people figure out what to do when there’s no rule book. They delight and challenge their customers and peers. They love their work, pour their best selves into it, and turn each day into a kind of art. Linchpins are the essential building blocks of great organizations. They may not be famous but they’re indispensable. And in today’s world, they get the best jobs and the most freedom. As Godin writes, “Every day I meet people who have so much to give but have been bullied enough or frightened enough to hold it back. It’s time to stop complying with the system and draw your own map. You have brilliance in you, your contribution is essential, and the art you create is precious. 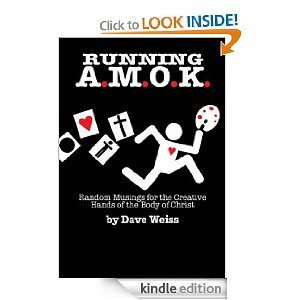 Only you can do it, and you must.” This book really changed the way I look at the things relating to the work I do and the way I do it. Click the picture to get your copy. For the writers, storytellers and communicators out there, Parables by John MacArthur is a treasure trove of information on the stories of Jesus. This book goes into great detail on the parables and why Jesus used them. This book is powerful and will challenge your thinking on the parables, and how we communicate God’s Word. Here’s what the Amazon page had to say about the book: “Jesus was a master storyteller, and the parables He told were ingeniously simple word pictures with profound spiritual lessons. Understanding the parables is a crucial matter for followers of Jesus. Jesus told parables so His people might comprehend His message about the kingdom of God clearly. Master expositor and Bible commentator John MacArthur has spent a lifetime explaining the Word of God in clear and comprehensible terms. In Parables he helps Christians understand the essential lessons contained in the most famous and influential short stories the world has ever known.” Get your copy by clicking the image. Imagine That by Manuel Luz is a thought provoking book on creative ministry from a great mind working in the field. His insights are powerful and challenging. Amazon said, “Why are we artists? How does God experience art? What is the artist’s calling in relation to God, the church, and the world? Drawing from his experiences performing Mozart, playing “dive bars”, and leading worship and the arts in the church, author Manuel Luz seeks to answer the questions that artists often ask. Laced with humorous and sometimes poignant anecdotes, Imagine That is a thought-provoking journey through the convergence of art and faith. Luz has been a working musician, writer, pastor, and even amateur cartoonist for more than 40 years, and in Imagine That he lays out his case for a uniquely Christian approach to the vocation of artist, using theologically rich and artist-friendly language. In the end, Imagine That affirms and equips Christian artists for the special kind of ministry that only they can do.” This s a great book that should be on your bookshelf. Click the image to get your copy. 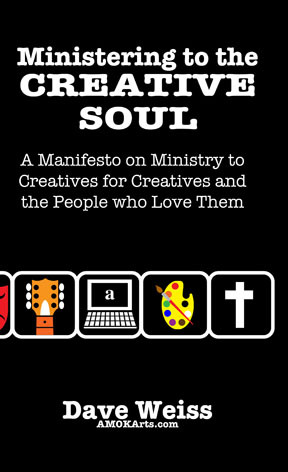 My friend J. Scott McElroy has written a wonderful handbook for creative ministry. As a long time creative minister, McElroy’s insights come from real world experience and have the potential to guide the reader to a fruitful, creative ministry. Amazon says of this book: “If the future is creative, is it any wonder that sometimes the church seems stuck in the past? Now is the time for the church to reclaim its role as a center of creativity. Among your members are artists, musicians and other creatives whose gifts can enhance your worship, inform your theology and impact your community. Christian arts advocate J. Scott McElroy gives a comprehensive vision and manual for unleashing creativity in your congregation so you can connect with the more visual, aural, participatory and expressive generation that is rising up within the church today. Click the images to get your copy of any of these books. I know I probably quote this ad nauseum, but it bears repeating. After hearing so many people tell me they are not artistic, not creative, I wonder what happened. Picasso said, “All children are artists, the problem is to remain one as one grows up.” My friend Manuel Luz, posted this beautiful reminder from his church’s Easter celebration. Watch this video and bask in the creative mayhem, the joy of children creating. If you’re having a hard time finding joy, maybe you need to grab some paint (or whatever your media) and just play. There is something about creating that is just fun but I believe it goes deeper. I believe that we can experience something of our Father’s heart when we create with abandon, unafraid and unashamed. I believe we can recapture something we’ve lost when we push our fears aside and let the beauty inside us flow out. To read Manuel’s take on the video, which he aptly calls The Art of Joy, click here. If you’re not following Manuel Luz’ blog yet, you need to. He has some brilliant, innovative and creative things to share. When I get around creative ministry folks and hear the word excellence thrown around, I always cringe a little. For one, art is subjective. Who’s to say what excellence is? I see works all the time that people fall all over, that, quite frankly, look like they could have been done by a monkey and not even a trained monkey. I also see artists who clearly have wonderful technique, belittled and berated in the arts community. Excellence is in the eye of the beholder. Moreover, excellence in art requires growth. It requires failure. It requires making work and putting it out there for the world to see. When we start to talk about excellence in creative ministry, I wonder how we will allow for those who are clearly gifted, but inexperienced, needing to learn and grow and display/perform but being deprived the opportunity in the name of “excellence,” whatever that means. The last thing the church needs is elitist creatives keeping people from walking into their God-given gifting. Then in the midst of reading, Manuel Luz’ book Imagine That, I saw a definition of excellence I can get behind. That’s called faithfulness, it allows for growth, learning, failure, etc. If you’ve given your best today, that’s enough, because we all know this to be true. If you give your best every day, to every project, day in and day out, your best gets better, and better. So work with excellence today, whatever that means today, knowing full well that you’ll be more excellent tomorrow. Last night I had a nightmare. I was being terribly mistreated and someone lovingly took me aside and showed me how it was my own fault. I’d been irresponsible. It was at that moment that I woke up and maybe it was a wake up call. I can’t be so focused on my goals that I miss the opportunities and responsibilities that are right before me. Then, upon returning from my prayer walk, I picked up Imagine That by Manuel Luz and started reading.Oddly enough in the discussion questions I saw one that not only hit me hard but went along with the prayer that came to mind as I walked. Do you deal with pride or envy or struggle with some element of self-centeredness or neediness? (Hint: If you said no, guess again.) How does it manifest itself? Describe a recent instance when you had to deal with this yourself? 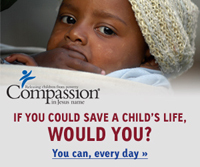 Tough question, right? Oh not tough to answer, but tough to admit. For me it happens after a mountaintop experience when I am all stoked and excited and feeling like I am doing great stuff to keep things going forward, only to discover that my contributions were not particularly welcome. All of the sudden the bottom fell out and I went from top of the world to the stuff on the ocean floor beneath the whale droppings. It was terrible. Here’s what I deal with. My validation is supposed to come from Christ, not from the affirmation of men and my worth comes from Christ, not what I can contribute with my gifts and talents. I’m still supposed to use those gift and talents but if I have given my best, that is all I can do. The rest is up to God. That should be enough, because in Him, I am enough. It’s not always the easiest thing to accept, but it is truth. So that is where I struggle. How about you? Lord in you I am enough. I lift my gifts and talents to you as an offering and ask that you use them. but I pray that at the heart of it all is a desire to see people come to know, love and follow you. and work through my imperfect offerings to bring glory to your name.